When you send your child to day care, it’s important that you have the confidence that your child will be cared for and kept safe. 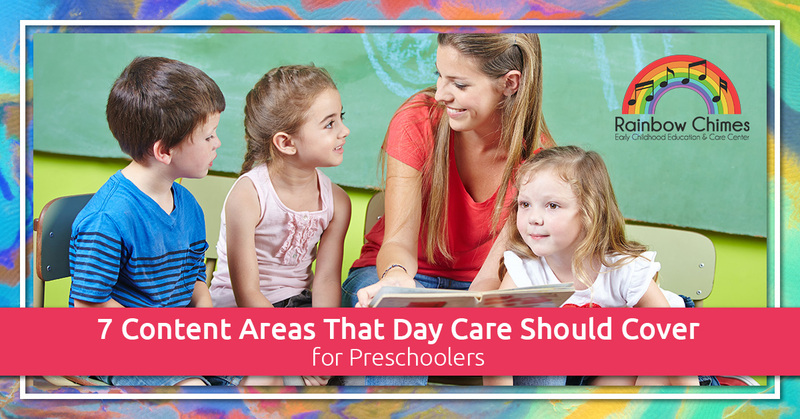 However, day care providers can offer much more than just basic care, and the best day cares will give your preschooler the educationally rich opportunities that will foster their growth and development throughout life. With such a wide range of different day care options out there, here are some of the ones that our day care in Huntington would encourage you to prioritize in choosing a day care for your preschooler. At day care, is your child likely to develop socially and emotionally, or will they be simply left to themselves? A great day care will stimulate healthy social interaction with other children and guide them to appropriate responses to situations that arise. Young children need movement, good nutrition, and activities that foster their physical development. They are at an age where their brains are developing connections that will build their gross motor skills, fine motor skills, sensory processing, and more. A top day care will make it a priority to ensure that children are given every opportunity for proper physical development. Your preschooler’s language skills are developing at a rapid rate, but with a little bit of care, their language ability can increase even more. Are your children encouraged to develop their communication skills at day care? Do they have the opportunity to interact with adults in ways that are positive and constructive? Do they feel listened to? Great day care providers will do this. Two plus two will equal four for the rest of your child’s life. While it may seem that skills like counting and adding are so basic that they can be overlooked until kindergarten, we firmly disagree. The sooner that your preschooler gets a firm foundation in mathematics, the sooner these concepts will become instinctive and natural to them to use and to build upon later in life. Every parent of young children knows just how creative, innovative, and imaginative little kids can be. The world needs people who can tap into their creative side to solve problems, and if your preschooler gets a strong start in engaging with the creative arts, it will benefit them greatly. Just as with mathematics, it may seem premature to place a focus on science and technology for children so young. No, it doesn’t make sense to cover the periodic table of the elements yet. However, even something as simple as a leaf rubbing can begin to train kids to develop their powers of observation. This skill, if it becomes instinctive, can help to launch them into the enjoyment of a solid science career. Kids can develop a sense of community by observing what’s around them, and day care for preschoolers can introduce them to concepts like the neighborhood, holidays, and basic geography. Here at Rainbow Chimes Early Childhood Education & Care Center, we don’t just talk about these seven subjects. They form an integral part of the HighScope curriculum that we use every day. Discover the difference when you enroll your child at Rainbow Chimes. Schedule a tour today.